The entire world – from Brazil to Indonesia to the south African countries – was turning strongly against Facebook for transforming from an open social media platform to a control-freak advertising behemoth. However, India – perhaps because it’s a country where controlling knowledge and confining it to a selected few has always been considered a virtue – chose to become an active partner in this move. On 27 September, after the Indian prime minister shared tear-jerking stories about his mother at Facebook’s headquarters in the United States, Facebook’s CEO changed his profile picture into a tri-colour-tinted one and millions of Indians followed suit. Needless to say, when something is promoted in India in the name of “maa” and “bharat maa”, it acquires a sense of unquestionability. And the claim that this partnership between Digital India and Internet.org would provide free internet to millions (and facilitate “development”) gave this initiative another “holy cow” status. Facebook has rechristened it “Free Basics” now, after the former name attracted widespread criticism. Not just in India, but globally, Facebook has tried to sell this initiative as a pro-people move. Internet.org is a platform through which free access to a bouquet of 60 websites would be provided by Facebook in partnership with local mobile internet carriers. Obviously, the list of websites would be decided by Facebook, the government of the day and the companies that partner with Facebook. This platform would become the default internet for the millions of new entrants to cyberspace, giving the government and corporations complete control of what information is served to them and how. Also, the entry of vast number of new internet users exclusively through its platform would allow Facebook to earn ad revenues by leveraging it for targeted advertising. Even as the platform remains free for users, Facebook would earn from it. So would the other websites participating in this platform. And of course it would become a vehicle to take government propaganda directly to people’s mobiles and to collect information about people’s behaviour on the internet without their knowledge. Would the larger internet still be there, free and open? The answer, unfortunately, is no. “Free” internet schemes like Facebook’s internet.org and Airtel Zero would also mean that the rest of internet is now available for controllable and separately marketable segments to be sold in various packages designed on the basis of interests, paying capacities and so on. So, along with the free pack of 60 websites, there would be an entertainment pack of a few hundred websites, a news pack and a sports pack, separate packages for websites of different languages, and still other packages depending on speed and over-the-top (OTP) services like internet telephony (including Skype). The totally open internet would still be somewhere out there but the customized packages would become the rule as both participating websites and internet service providers compete to make them attractive and even affordable. What happens then to an individual blogger, a social group or an independent publisher who wants to reach out to the audience through the internet? If your website/blog is not part of some package that people can subscribe to, you can almost forget about it being seen or heard on the internet. So if you cannot pay the service providers for being included in the most popular internet packs, your voice on internet will have no takers. This would directly affect the underprivileged, who have so far been able to influence the mainstream discourse by creating their own web spaces and attract people’s attention. Also, at the very outset, one would have to tell internet service providers what content is going to be published, allowing entrenched social interests to find a way to stifle that voice. Is providing such controlled network access and turning the whole internet into controllable channels the best way to provide internet access to the poor? A much better way would be the universalization of optical fibre project, which is already under way but is being opposed by big corporates in the business. Internet with such gatekeepers would turn into libraries where different publications and ideological groups have their own counters offering competitive subscription rates while the normal library fee is unaffordable. This would ensure that only the ideas of the powerful sections would find space. These manoeuvres would curtail the most fundamental right of an individual to access everything on the internet on his own terms and of an online publisher to be accessible in every corner of the world. Not just political groups but also new start-ups would suffer. Many young entrepreneurs have come up with workable ideas using the internet that have become success stories. Such successes would ironically become history at a time when Modi is celebrating “Start-Up India” and precisely this upwardly mobile tech-informed middle class is among his strongest supporters. Earlier this year, the Government of India’s Department of Telecommunications (DoT) issued a directive to Facebook to have its users vote on the issue if it wanted the department to consider the implementation of internet.org project. This happened only after strong protests from the net neutrality supporters. However, then, Facebook began asking users to vote on ambiguous and dubious questions like “Do you support free internet?”. 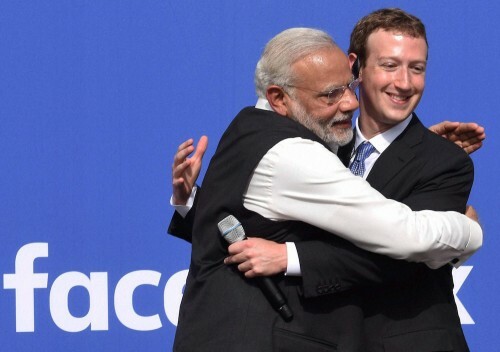 While these moves and tricks were being exposed and opposed by the free-internet enthusiasts, the Modi government officially partnered with Facebook, giving it legitimacy and support. At a time when there are serious concerns about the present government and its ideological backers curtailing freedom of speech through various means, a controlled internet can become a potent weapon in the hands of the brahmanical forces that want to keep a tight rein on all human knowledge and discourses in the public domain. The following statement by writer is baseless. ” At a time when there are serious concerns about the present government and its ideological backers curtailing freedom of speech through various means.” He should have elaborated by giving examples where freedom of speech was curtailed.